The project has been processed on the Cloud and is georeferenced. A DSM result was uploaded to the Cloud and is georeferenced (GeoTIFF). To create or visualize the profile in the 3D view, the point cloud or mesh should be generated or uploaded besides one of the conditions above. Note that the elevation profile is not transferred from one view to the other. 3. Select the 2D or 3D view. 4. In the main window, on the right side of the view, click . 5. Draw a (poly)line. Double-click to end it. 6. On the right panel, click GENERATE ELEVATION PROFILE. If the elevation profile does not load, check this troubleshooting article: Output is not displayed / feature is missing in the cloud. On the bottom panel, move the mouse along the curve to display the elevation and its location on the profile. Zoom in for more precision. 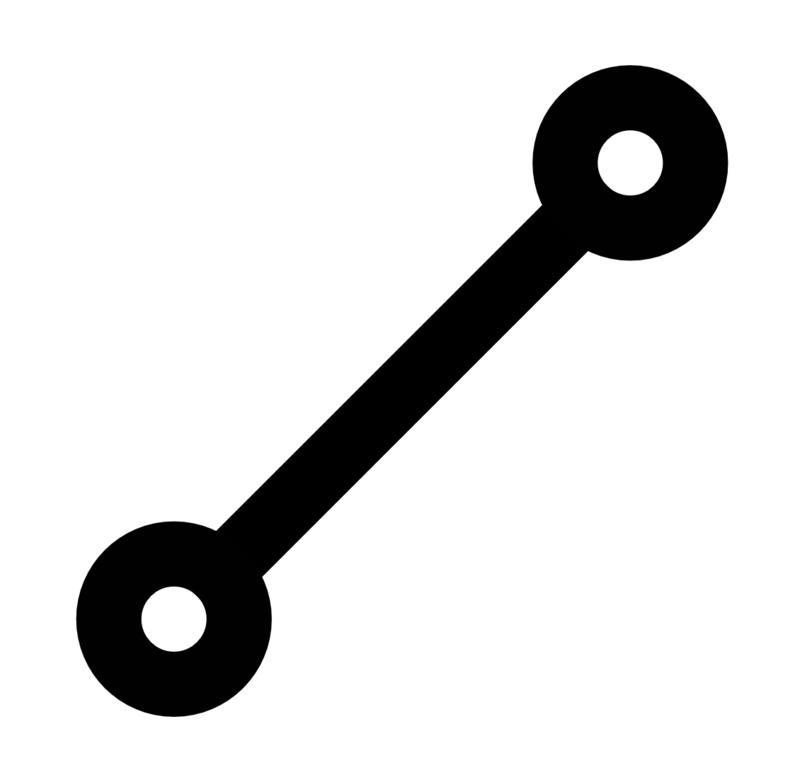 The horizontal axis corresponds to the length of the (poly)line, the origin (0 m) corresponding to the first clicked point. The vertical axis corresponds to the elevation of the model. For more information about the coordinate system: Cloud georeferencing, annotations and measurements (see Default coordinates > Vertical). The elevation is computed from the DSM for each pixel of the (poly)line. By default, the resolution is the ground sampling distance (GSD) of the project. Reset the zoom level of the profile. Export as CSV and save to desktop all the 3D points of the elevation profile. Tip: The following columns are exported. Horizontal coordinates (X, Y): Output coordinate system of the project or the one detected in the GeoTIFF DSM. Vertical coordinate (Z): Output coordinate system of the project or the one detected in the GeoTIFF DSM in meters or feet depending on the account preferences. Distance: Ground distance from the origin of the profile in meters or feet depending on the account preferences. The elevation profile tools looks just great! Unfortunately, I work in an environment where uploading this sort of data to "The Cloud" would be a violation of security. As a result, I am forced to squeeze these sorts of measurements out of the desktop software by other means that are not nearly as elegant or even representative of the actual capabilities of Pix 4D. My clients are left wondering if they should be looking at a different software package for using photogrammetry as a tool for measurement. I am wondering if the BIM version has additional capabilities that might make up for the measurement tools that are missing from the desktop version. It would be very nice to see these capabilities in the desktop version. Hello. 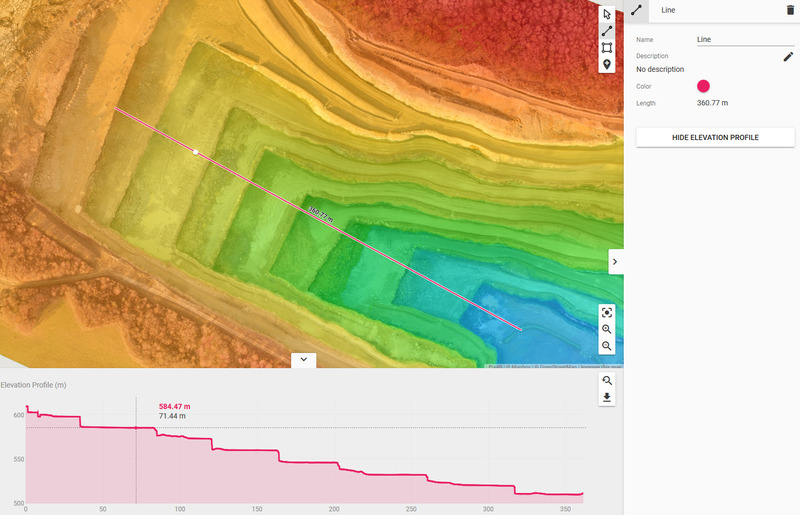 Thank you for your feedback regarding the elevation profile tool. Incorporating this feature into Pix4D mapper could be considered in the future. All features available in the desktop Pix4D BIM are available in Pix4D Mapper. Currently, you could generate an elevation profile locally using the DSM/DTM produced in Pix4D and importing into a GIS program like ArcMap. I will pass on your comments to our mapper development team. is there an explanation why the results have to be georeferenced to show the elevation profile? for now all other features are available when having an arbitrary model. (volume, dsm color map intervals, marker, area) therefore i wonder why elevation profile is not included? Hi Matt. This has been something that other users have mentioned and our cloud team is considering. I will pass on your comments to help let them know this is a feature that is still of interest. Thanks for the feedback! Unfortunately, until now we have not received any news when about Elevation Profile Tool for Desktop. However, this suggestion is one of the most popular for our future releases. I am confident that our developers and Products Owners will do what they can to meet the customer's demands. Could you also explain to us why you would prefer using this tool on the desktop instead of the cloud? Can you show vertical distance achieved above a design or sub base design height? The elevation profile is generated on the DSM. If you need to evaluate the new part that was added, you need to replace the DSM with the new one containing the added part and then compare the two elevation profiles in another software, if every time you export the profile in the CSV format.